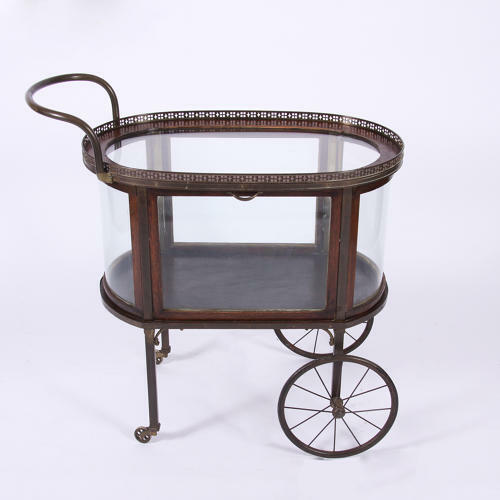 This is a fanstastic wood, brass and glass bar cart in good condition. It features original curved glass and a closed compartment which opens via pull down doors on both sides. Large pair of brass spoke wheels and a curved brass handle and gallery. This unsusual model is elegant and chic.